Bitfinex is the world’s largest Bitcoin exchange regarding volume and boasts 5.77 million Bitcoins traded between April and October of 2017. This puts it head and shoulders above its nearest competitors and other exchanges on the market including Kraken, and Coinbase – two different big names in the market. The platform is based in Hong Kong and is owned by a company known as iFinex Inc. As of 2018, the platform is looking for a new place to set their headquarters due to changing cryptocurrency laws in Asia. Since 2014, they have held their position as market leaders for both exchange trading, and currency storage of the crypto variety. While Bitfinex has experienced a few hacks over the years, they have never shirked away from their responsibilities, and customers have never suffered as a consequence. This has helped them to cement their reputation as one of the most significant and most respected crypto exchanges online. Bitfinex pride themselves on offering advanced trading, extremely high levels of liquidity, and one of the largest selections of altcoins and cryptocurrencies on the market, meaning it is perfect for traders that are serious about their trading activities. The platform is excellent to go with margin trading and order types that mean you can get trading without any limitation whatsoever. IMPORTANT NOTICE: YOU CAN START TRADING ONLY IF YOUR ACCOUNT HAS $10,000 LIQUIDITY. Bitfinex is available to customers from most countries worldwide, although some countries that have particularly strict state restricted internet may wish to use a VPN service to retain their anonymity. For everyone else, it is as comfortable as logging on and signing up. Since April 2017, US-based traders or users are not allowed to use the Bitfinex platform. 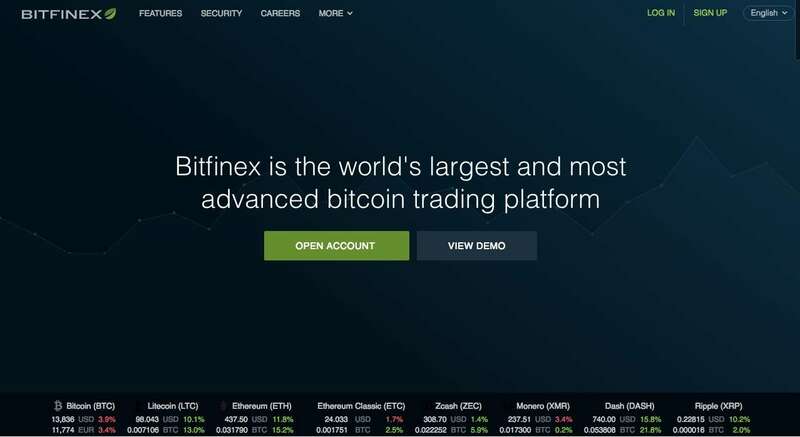 This is where Bitfinex comes into its own as it offers one of the largest and most comprehensive selections of cryptocurrencies to trade online, featuring over 50 altcoins and tokens. Bitfinex also does a pretty good job of adding new coins – as soon as the coin becomes established on the market, it has high chances of being included in the Bitfinex portfolio. Depositing with fiat currency, however, will require going through a verification process and submitting relevant documents. Read more about it the next section. It is worth noting that withdrawals can take up to 12 hours to process – something you can speed up if you set up 2-factor authentication on your account as well as various other security verification measures. If the correct security verifications are in place, withdrawals can take as little as a few minutes to go through. 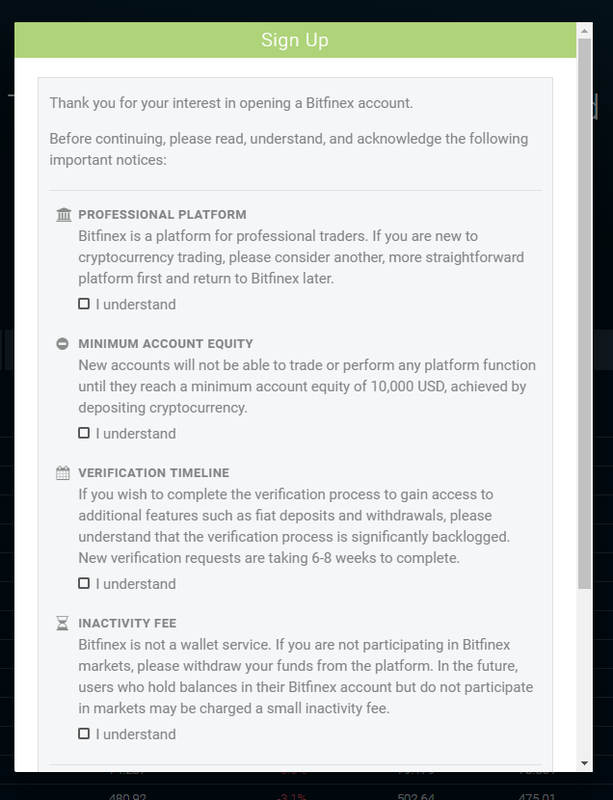 Bitfinex has different verification requirements before proceeding, depending if you choose Individual or Corporate Account. All submitted documents will be saved on the account, and they can be removed/added as needed. The process can take up to 5 weeks. Information: telephone number, email address, residential address. Identification: two forms of valid government issued identification with a picture; i.e., passport, national ID card, driving license, residency card, employment permit card, etc. If you do not have two forms of ID, you can provide only one and contact compliance@bitfinex.com to arrange a Skype or Google Hangout call. Bank Statement: highlighting your name as the account holder (your first deposit to Bitfinex must come from this account). Proof of Address: a statement not older than three months from a utility, service company, licensed corporation or government authority indicating your name and residential address. Corporate Documents: The list is quite lengthy, and you would have to download it. Director Information: each director, significant shareholder and controlling officer(s) are required to provide identification. Please review the online form for complete details. Individual Forms: After completing the corporate verification form, a single form for each director, significant shareholder(s) and controlling officer(s) will be required to be completed. Bitfinex employs some of the tightest security measures possible to protect client funds. At any time, 99.5% of client’s funds are safely stored in cold storage and well away from the reaches of hackers. The Bitfinex platform also offers 2-factor authentication for both withdrawals and logins, and it provides encryption by email to keep an eye on withdrawals by IP. Also, if a new IP requests a withdrawal, the IP is locked for 24 hours as an extra precaution. Two-factor Authentication (2FA): An additional layer of protection which is recommended by all exchanges. Universal 2nd Factor (U2F): Works in the same way as 2FA but has a physical key for extra security. Monitoring tools for your account: You can enable email notifications, analyse account activity, block IP addresses, and more. Withdrawal protection: The security system monitors your account and notifies you of unusual activity. Other protection as a whitelist of addresses is also available. API key permissions: You can create API keys with different permissions through their REST and WebSockets APIs. Email encryption with OpenPGP: Protects all communications via email. Storage of cryptocurrency: Bitfinex protect and stores all bitcoin and cryptocurrency offline, also called cold storage. Only about 0.5% of cryptocurrencies are available for daily transactions on the exchange. Linux system with the latest software: The platform uses best practices for its servers and always update to the latest software. Automatic database backups: Every day, the database is backed up, encrypted and compressed. Extra copies of backup data: When the database is backed up, the data and log files are sent to other servers. Protection against DDoS attacks: Bitfinex uses hidden protections to prevent DDoS attacks. If you Google Bitfinex, it is impossible not to see stories about a high-profile hack that occurred in 2016. During this breach, $72 million worth of Bitcoin was stolen (120,000 BTC), but Bitfinex compensated the affected customers immediately with tokens that were equivalent to the number of Bitcoin they lost. Afterwards, Bitfinex bought back these tokens from the users at the price of Bitcoin, over time. 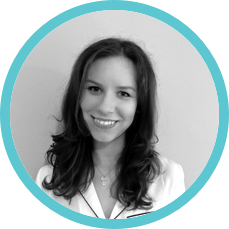 Within a year, the tokens had been repurchased, and all affected clients were adequately compensated for the loss. The hack wasn’t the only problem Bitfinex had to face over the years. In April 2017, Bitfinex’s bank accounts were frozen by the Wells Fargo bank for a couple of weeks. As a result, Bitfinex struggled with withdrawals and storing customer’s deposits. While the situation was finally resolved, the US customers are no longer accepted by the exchange. Bitfinex offers different wallets to store your funds. Usually, only the margin trading wallet would be used for margin trades. So margin calls and losses would only affect the fund within this wallet. However, you can change the settings so the other wallets would also get involved in your margin trades. IMPORTANT NOTE: It’s never advised to keep a large number of funds on a cryptocurrency wallet. Use it only while trading. Like other cryptocurrency trading platforms, Bitfinex operates on a tiered fee structure, and the fees vary from 0% to 0.2% depending on the size of your transaction, and the amount you have traded over the last 30 days. 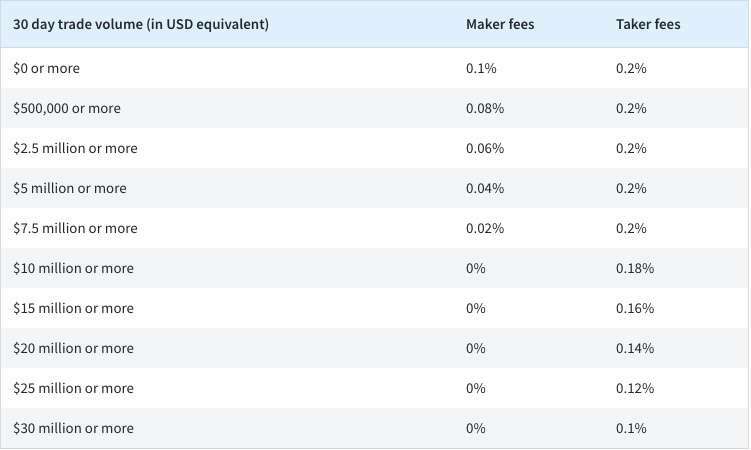 They also vary depending on whether they are maker fees or taker fees. Maker fees are the fees that are charged when you put a buy limit order under the ticker price or a sell limit order above the ticker price. Orders that are placed and that hit a hidden order will always be charged a maker fee with no exceptions. Taker fees are fees that are charged when you place an order that is executed against a listing in the order book. In the case of hidden orders, they are always charged the taker fee. When you deposit currency into Bitfinex, there is no fee incurred except for bank transfers which are charged the greater of 0.1% of the total, or $20. Be aware of the small deposit fees (less than a 1000 USD equivalent). Many small deposits create an excess of little wallet inputs that can accumulate, requiring wallet input consolidation maintenance and eventually delaying customer withdrawals. 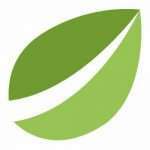 For a detailed breakdown of the fees for particular cryptocurrencies, visit Bitfinex website. Another thing that sets Bitfinex apart from many of its competitors is its comprehensive customer support system. The exchange offers a 24/7 email support service, an extensive and comprehensive FAQ section, and a forum where you can ask questions and interact with others in the community in real time. Should you have a more pressing issue, you can submit a support ticket to the always on-call support team who will be more than happy to help. 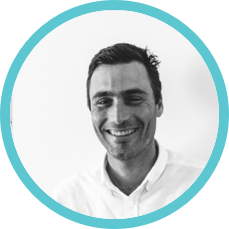 What is extremely helpful – the customer support is split into different sections, depending on what a customer might need. This way, the help is quicker and more specialised. Bitfinex is not exactly the most user-friendly platform. It’s great for experienced traders, but it can get too complicated for beginners, especially with an incredible amount of advanced trading features. 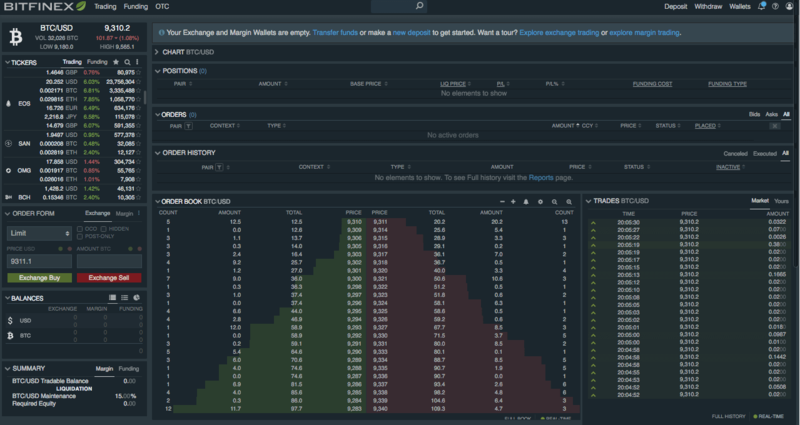 Bitfinex features an advanced, customizable GUI, over 50 trading pairs (e.g. BTC/ETH), and many order types, such as limit, market, stop, stop-limit, trailing stop, fill or kill, and scaled orders. These features combine to make it a famous exchange with more sophisticated cryptocurrency traders. Limit: A regular limit order means that you buy/sell at a predetermined price. Market: A market order is executed directly for the current price in the order book. Stop: It is an order to sell or close your position when the market reaches a certain price. Trailing Stop: It is an order with a selling price that changes depending on the market price. Used to protect profits and minimize losses. Fill or Kill: This works as a limit order, but also means that the entire order must be completed or cancelled. OCO (One Cancels Other): This order type makes it possible to combine a stop order with a limit order. If one order is accepted, the other can be automatically cancelled. Post Only: It is a limit order that ensures you pay the lower “maker” fee. Your order will be added to the order book or cancelled. Hidden Order: As the name suggests, this is a hidden order that is not visible in the order book or on the market. Iceberg Order: This is an algorithmic order that shows only part of the order in the order book. TWAP (Time Weighted Average Price): This is an algorithmic order that divides your order into multiple orders for a predetermined time. In USD or your cryptocurrency of choice, to traders that employ leverage. This enables the trader to earn interest on any funds that are left on the Bitfinex platform. You can use various online tools to plot interest rates of a particular time frame and then calculate the possible returns. 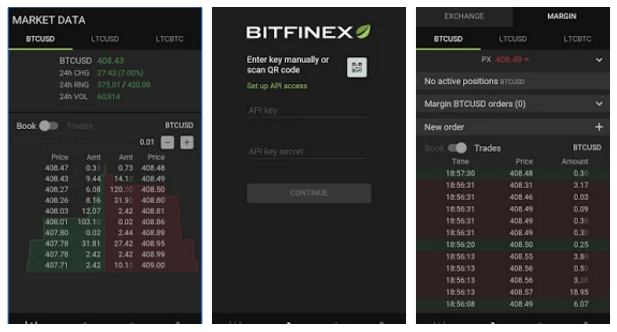 Bitfinex also offers an API with features that are great for automated trading. The trading interface bases its charts on the Trading View charting site which makes it responsive, easy to understand, but without compromising on detail and quality. It is also highly customisable which is great for beginners and experts alike. You will be glad to know that you can take the worlds biggest cryptocurrency exchange in the world with you, wherever you go in the form of its handy mobile application. Available on both Android and iOS, it offers a slick and well-designed interface that will please even the fussiest mobile user. 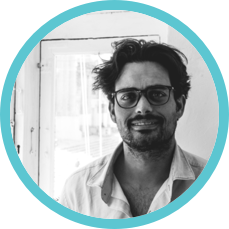 The app is secure, easy to use, and offers all of the features that the desktop version provides – meaning that you do not lose any functionality or convenience through using it on your mobile. The perfect solution for traders on the go who are not always near to a computer, it means that you will never miss out on a trading opportunity ever again. One of the biggest debates around Bitfinex is its support for Tether (USDT), the quasi-fiat token unofficially pegged to the US dollar’s price. Indeed, Bitfinex is a significant shareholder in Tether and is probably the majority holder of these coins. Since the inception, the price of Tether is $1, and the company claims to be backed by one USD held in their reserve. However, not everyone believes USD supports Tether 1-1. This is where Bitfinex’s role comes in. Tether is traded for Bitcoin on Bitfinex which is aiding the Bitcoin price rally, according to many traders. The company has yet to provide conclusive evidence of its holdings to the public or have its accounts audited. The account has the liquidity of minimum 10,000 USD deposited in cryptocurrency. For advanced features, the verification process can take up 5-6 weeks. It’s important to remember that just opening an account means you can trade cryptocurrency straight away. As mentioned before, if you want deposit fiat currency, you must go through the verification process first. In conclusion, if you are looking to dabble in the world of cryptocurrency and altcoins, then Bitfinex is probably your best option. It is the biggest and most popular exchange in the world for a reason, and once you sign up, you will soon see why. From its comprehensive support network including the forum and FAQs to its easy to use, highly customisable interface it is the perfect place to either get to grips with trading or perfect your technique. For beginners, it offers a great interactive how-to guide that is easy to follow and very informative, for the more experienced, you can be up and running with a few clicks. Despite its odd hiccup with security, the response of the Bitfinex team and the steps they have taken since to protect the privacy and security of their clients have put even the most cynical crypto traders’ minds at rest. The enormous amount of crypto and altcoins it supports is very vast when compared with other exchanges on the market, making Bitfinex a one-stop shop for their trading needs without signing up to multiple trades. Bitfinex, like any other cryptocurrency exchange, has mixed reviews from the community and there are plenty of instances where the currency took too long to appear in the wallet or gone missing for a while after withdrawing. We didn’t face any issues, and the detailed verification process encouraged us to use the exchange. However, the rather negative feedback from the crypto-community made us aware of potential problems, and the process was quite nervous and anxious. Other than that, in our Bitfinex review, we are awarding it a resounding 8.0! bitfinex is one of the worst exchange i have ever used. I have deposited a small amount of bitcoin which was 0.0017 btc to test out the exchange before dive deep into it. my transaction was successful at btc.com and has 200+ confirmations and also it showed “completed” in the transaction section and when i go to my wallet there is nothing there. it doesnt show up in my wallet. it was about 25 days ago. after that i have contacted them and open a ticket. they contacted me back after 6 days and only said that we are resolving the issue. after that they have just disappeared. i then contacted them thrice they never reply. today after 19 days they have emailed me saying that if the problem still persist. even after 25 days, my transaction still doesnt show up in my wallet. Hi! Thanks for sharing your feedback! We haven’t had any problem while using it, but Bitfinex is known for issues like you mentioned, especially when it comes to customer service. I agree, Binance is by far the best option, especially for altcoins and tokens!